• Odisha CM Naveen Patnaik inaugurated and laid foundation stones for development projects in Kalahandi district on 16 Feb 2019. • He inaugurated the Red Medium Irrigation Project which will benefit 79 villages and provide irrigation facility for 8500 hectares of agricultural land. • Apart from this, he laid foundation stones for 38 development projects and launched 23 projects. • President of Argentina Mauricio Macri arrived in New Delhi on 17 Feb 2019 on a 3-day official visit to India. • Delegation level talks were held to review progress in bilateral ties and explore new avenues of cooperation. • The President of Argentina also addressed the Plenary Session of India-Argentina Business Forum. • It is related to cricket. • Belgium’s Elise Mertens claimed the Qatar Open by beating top seed Simona Halep by 3-6, 6-4, 6-3, in tennis. • This is her first-ever WTA Premier-level crown, and the fifth title of her career overall. • Mertens is world number 21. • It was organised by the Department of Empowerment of Persons with Disabilities (DEPwD). • Under the scheme, every year more than 600 NGOs are provided with financial assistance for running their projects for the rehabilitation of persons with disability. • The Insolvency and Bankruptcy Board of India (IBBI), organised a 2-day workshop on “Committee of Creditors: An Institution of Public Faith” on 15-16 Feb,19 in Mumbai. • It was the first of its kind organised jointly with State Bank of India (SBI) & Indian Institute of Corporate Affairs (IICA). • Dr. MS Sahoo (Chairperson-IBBI) & Mr. Rajnish Kumar (Chairman-SBI) were some of the faculty members. • PM Narendra Modi unveiled projects in Barauni on 17 Feb 2019 to boost development in various sectors. • He laid the foundation stone of Patna Metro Rail Project and inaugurated the Phulpur to Patna stretch of the Jagdishpur-Varanasi Natural Gas pipeline. • He also inaugurated the 1st phase of River Front Development at Patna and laid foundation Stone for the Karmalichak Sewerage Network. • The President of India presented the Tagore Award for Cultural Harmony on 18 Feb 2019 at Pravasi Bhartiya Kendra, New Delhi. • The award was presented to Shri Rajkumar Singhajit Singh; Chhayanaut, and Shri Ram Sutar Vanji for the years 2014, 2015 & 2016 respectively. • The award was instituted from 2012. • It is awarded annually and carries an amount of Rs.1 crore, citation, and Plaque. • PM Narendra Modi visited Hazaribagh in Jharkhand on 17 February 2019 to unveil several development projects. • He inaugurated the Medical Colleges at Hazaribagh, Dumka, and Palamu. • He also inaugurated 4 Rural Water Supply Schemes in Ramgarh and Hazaribagh districts. • He e-inaugurated the Only Women Engineering College at Ramgarh. • Pradhan Mantri Shram Yogi Maan-dhan (PM-SYM) Scheme was implemented by the Ministry of Labour and Employment on 15 Feb 2019. • The unorganised workers whose monthly income is Rs 15,000/per month or less and belong to the entry age group of 18-40 years are eligible for the scheme. • Bradley Cooper was awarded the ‘Oscat’ by People for the Ethical Treatment of Animals (PETA). • The animal rights organisation awarded the best director award to Cooper for his enlightened decision to cast his own canine companion in ‘A Star Is Born’. • PETA is an American animal rights organisation based in Norfolk, Virginia, and led by Ingrid Newkirk, its international president. • Minister of State for AYUSH, Shri Shripad Yesso Naik launched the e-AUSHADHI portal, on 13 Feb 2019 at New Delhi. • It is launched for online licensing of Ayurveda, Siddha, Unani and Homoeopathy drugs and related matters. • AUSHADHI is an acronym for Ayurveda, Unani, Siddha, and Homeopathy Automated Drug Help Initiative. • Ruchira Kamboj was appointed as the Indian envoy to Bhutan on 11th Feb 2019. • She is an Indian Foreign Service Officer from the 1987 batch and currently India’s High Commissioner to South Africa. • She was appointed by the Ministry of External Affairs. 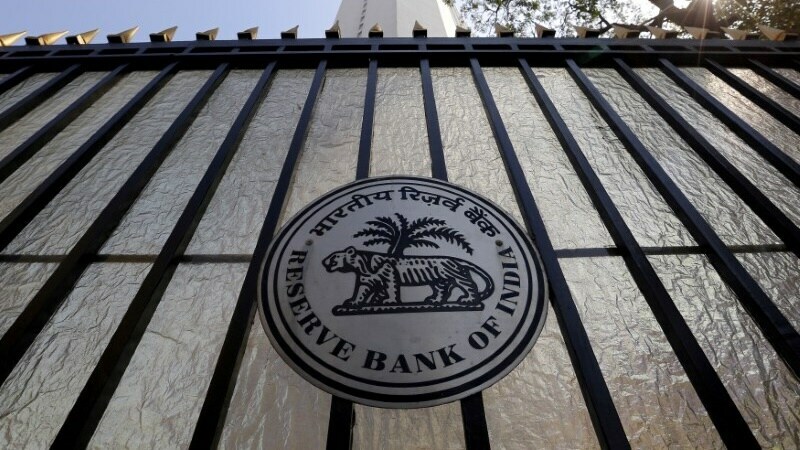 • RBI has decided to alter the definition of bulk deposits in the recent monetary policy review. • It has been revised as single deposits of Rs 2 crore and above. • Final guidelines regarding this will be issued by the end of Feb 2019. Banks have also been asked to maintain their bulk deposit card rates. • This indicates that the interest rates are expected to go down. • Union Minister for Food Processing Industries, Smt Harsimrat Kaur Badal inaugurated Cremica Mega Food Park through a video conference on 10 Feb 2019. • This is the first Mega Food Park of Himachal Pradesh located at Singhain village, Una district. • The park has been set up at a cost of Rs. 107.34 crores and will provide facilities such as frozen storage, dry warehouse, deep freeze, QC lab, etc.